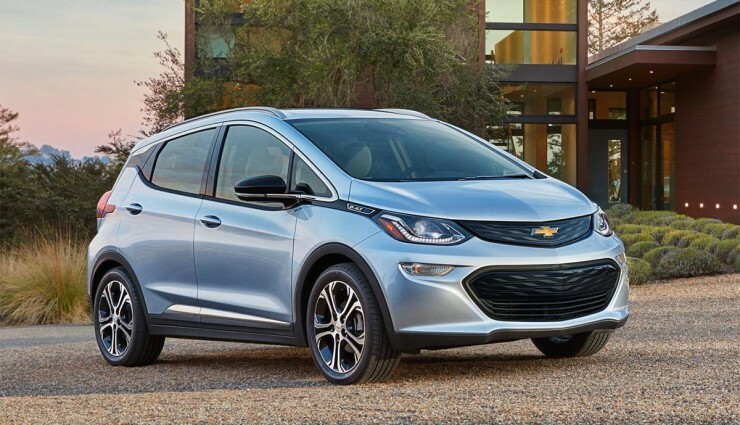 Hard on the heels of the reveal of the production Volt EV at CES 2016 in Las Vegas, Chevrolet used the North American International Auto Show in Detroit to release additional details on the battery and drivetrain of the new BEV. 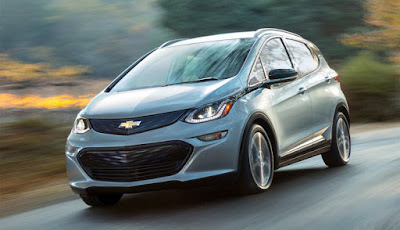 Engineers developed the Bolt EV’s propulsion system to offer more than an estimated 200 miles and a sporty driving experience. 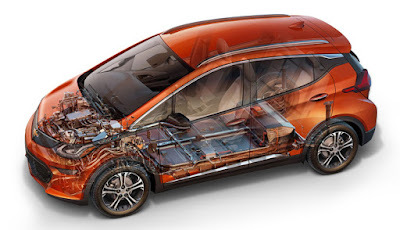 The Bolt EV’s drive system uses a single high capacity electric motor to propel the car. 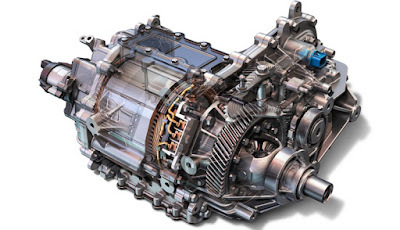 The engineering team designed the Bolt EV’s electric motor with an offset gear and shaft configuration tailored to meet efficiency and performance targets—most notably more than an estimated 200 miles of range. The motor is capable of producing up to 266 lb-ft (360 N·m) of torque and 200 hp (150 kW) of motoring power. Combined with a 7.05:1 final drive ratio, it helps propel the Bolt EV from 0-60 mph in less than seven seconds. 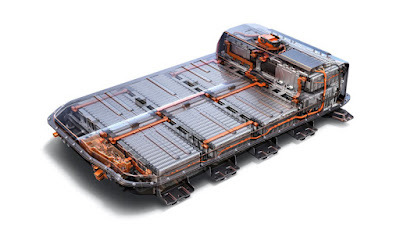 Inside the battery pack—which spans the entire floor, from the front foot well to back of the rear seat—is a new cell design and chemistry. The nickel-rich lithium-ion chemistry provides improved thermal operating performance over other chemistries, which requires a smaller active cooling system for more efficient packaging. The chemistry allows the Bolt EV to maintain peak performance in varying climates and driver demands. Regen System Provides One-Pedal Driving. Regenerative braking has become more than just a tool to boost range, it’s also transformed into a feature that can provide an improved EV driving experience. 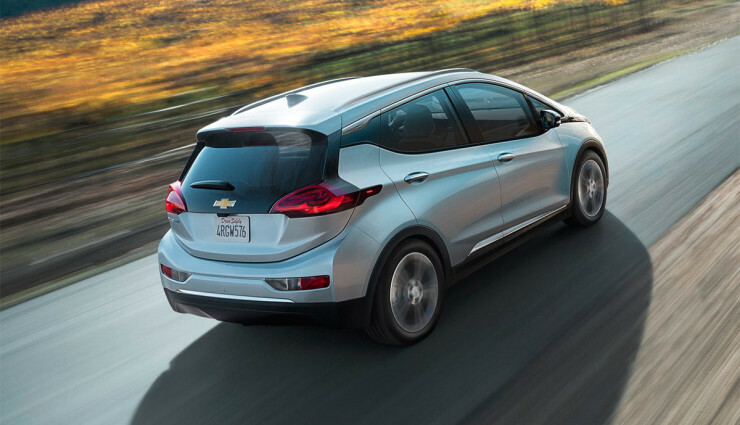 The Bolt EV features a new regenerative braking system that has the ability to provide one-pedal driving. 50 miles of range in less than 2 hrs. 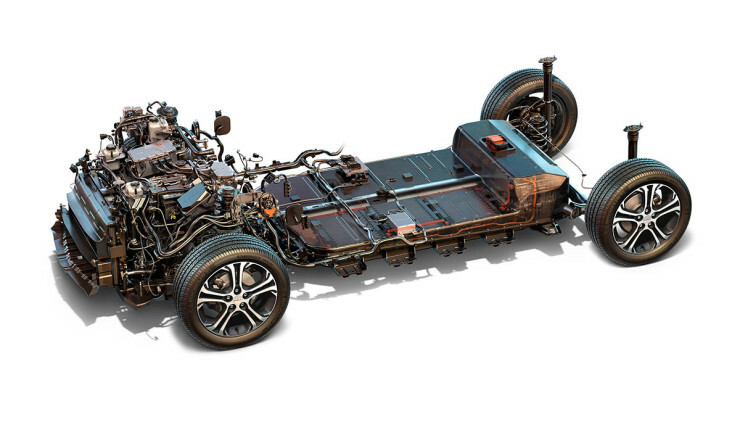 Independent MacPherson strut-type front suspension with side load compensating and finely tuned springs, direct-acting solid stabilizer bar system and ride & handling oriented LCA bushings. Compound crank (torsion beam) type rear suspension with the closed section V-shaped profile axle; specifically tuned coil springs, performance balanced shock absorber, angled A-bushing supporting understeer tendency on cornering maneuver and kinematically optimized torsion beam providing stable and best ride & handling performance.